Another behind-the-scenes video at Digital Planet. 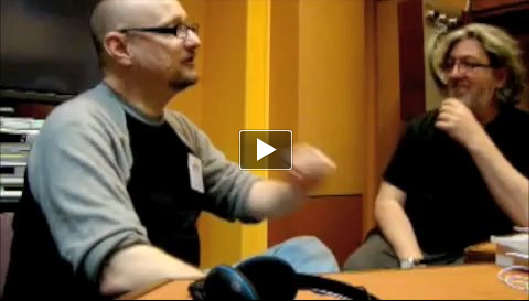 Gareth and Bill are joined by futurologist Jamais Cascio. The discussion turns to the virtues of open source and the quest for an 'epiphany engine'. It's just a short clip, but it's a fun little conversation. It's hosted on Facebook, but (as far as I can tell) non-Facebookers can watch it, too.